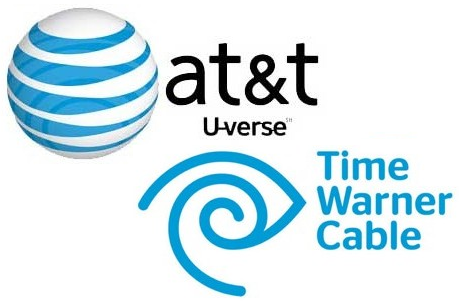 Well, my short experiment with U-verse internet service had me running back to good ol’ Time Warner Cable. It’s probably good enuf for most people and at times the speeds were phenomenal; however, the bandwidth was just too unreliable. There were times it slowed to a modem’s pace. What most U_verse users don’t understand is that it uses ancient copper wiring (i.e., telephone) to connect to the house. It’s only optical fiber up to the network node, located somewhere in the neighborhood. If you are close to the node, service “might be” pretty good, otherwise all bets are off. When you get multiple HD streams going and also try to do internet data, there is only so much you can push through copper wires made for telephone service. 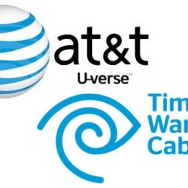 ATT U-verse isn’t Verizon FiOS, which is fiber all the way to the house. Anyways, I’m back with Time Warner Cable and couldn’t be happier. Sure, even TWC can have issues, but it isn’t a daily event.